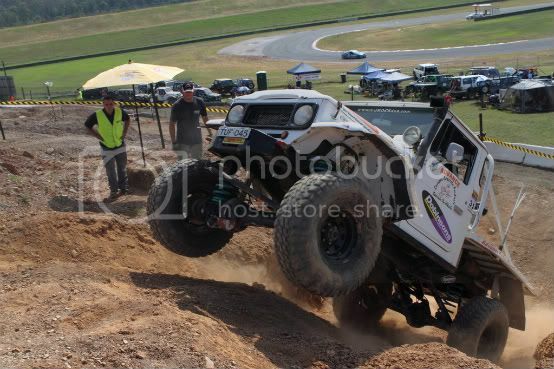 Each round of The Masters is held at Sydneys Eastern Creek Raceway, for more information please visit the Australian 4x4 Masters Series website. * Denotes a Day/Night event. This round will kick off at noon. The Masters is arguably one of the finest spectating events on the entire 4WD Competition calendar. 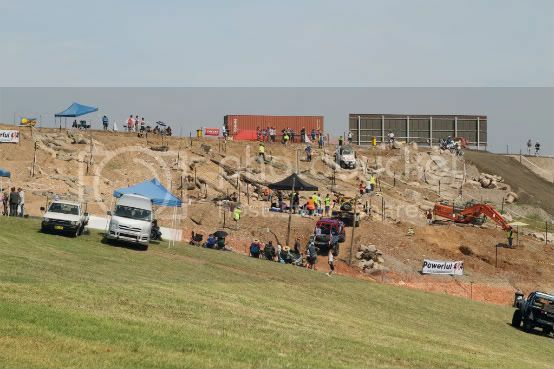 Set in the natural ampitheatre of Eastern Creek (right on turn 2!) it is a great place to set up a picninc blanket on the open grassy area and enjoy uninteruppted veiwing of the 6 courses that are up on the hill in front of you. 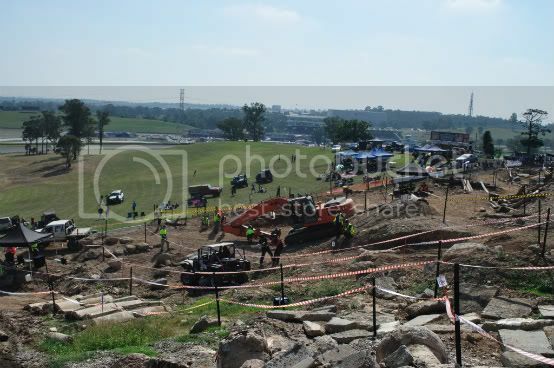 Spectators are also free to climb to the top of the hill and enjoy a "ringside" seat, it is as close to the action as you can get without actually competing! The Masters is a great day out for the whole family, so we hope to see you there! If you cant make it there, then be sure to keep an eye out in Extreme 4WD Magazine for all of the details from each and every round! Please note that The Masters is strictly an ALCOHOL FREE event. Mick going hard in the 45! See this truck and plenty more at Round 2, which will be a spectacular day/night round with the action kicking off at Midday and going well into the night under lights.